Why give this Free mock? UPSC 2019 CSE Prelims Exam is scheduled to be conducted on 2nd June 2019. This leaves all the serious aspirants like you with a little over 4 months to prepare for the UPSC Prelims Exam. You would have read, heard or watched in numerous UPSC preparation strategies available all over the Internet that candidates should focus completely on Prelims preparation from Jan-Feb.
As a result, to kick-start your UPSC Prelims preparation and steer it in the right direction, Skholar.com portal offering a FREE UPSC 2019 Prelims Mock Test with All India Standing. The Free UPSC 2019 Mock Test can be accessed on Skholar.com – A dedicated platform for UPSC Preparation. All the Mrunal Users who take the Free Mock Test would be given a Flat ₹1000/- Off (Coupon Code: “MRUNAL”) on the UPSC 2019 Mock Test Series package from Skholar. 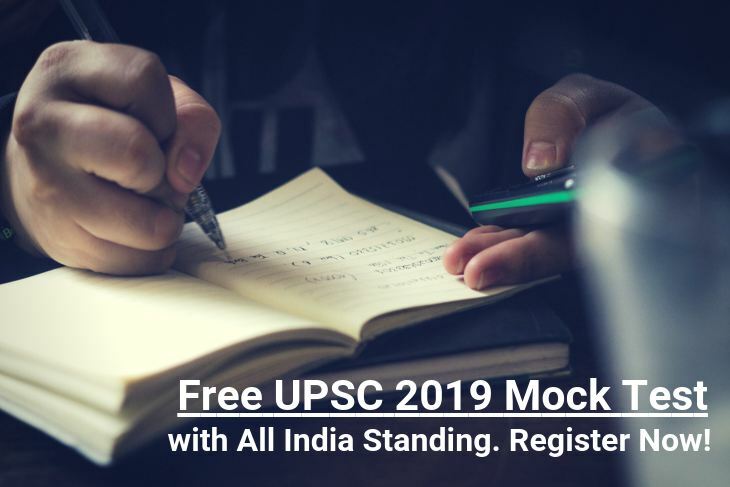 After giving the Free UPSC 2019 Mock Test you will be able to analyse your performance. In this performance analysis, you would know what your Strong and Weak areas are. Being aware of your Strengths and weaknesses would help you upgrade or amend your Preparation Plan for UPSC Prelims Exams. You would know whether you need to focus more on History or Geography, On Current Affairs of on Static part, etc. The purpose of a mock test is not just to help you solve more questions but also to give you a Exam Day Like Environment. It helps your brain practice for the Exam more efficiently. Having this experience at the start of the Prelims Preparation would keep you aware of the Exam day pressure throughout your preparation. With this Mock Test you will know how you perform under pressure. You can then improve your performance through various mental exercise every day. GS & CSAT Mock Tests – Skholar Provides best quality Mock Tests for General Studies and CSAT as per the emerging trends of UPSC Question papers over last the last few years. Daily Current Affairs – In-depth analysis of All the Important news events of the day are covered here. It would help you with not just your prelims but main exam preparation as well. Daily Current Affairs Quiz – A Free Daily Current Affairs Quiz having 5 Questions and Detailed Answers. Highlights of AIR & Rajya Sabha TV debates – A detailed blog providing all the sides of the debate is provide here for all the important topics. Infographics – Using Images and Graphics to help you remember a topic for a longer time. Magazines In this section, highlights and analysis of all the important articles from Monthly Magazines for UPSC Preparation – Yojana, Kurukshetra and Economic and Political Weekly are covered. Downloads In this section you are provided with Free Downloads of Monthly Current affairs Capsule and Old UPSC Questions Papers. So, what are you waiting for? 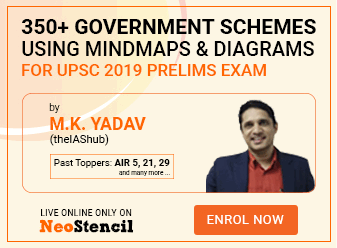 Hurry Up and take the Free UPSC 2019 Mock Test with All India Standing for Prelims Exam and get the discount of Flat ₹1000/- Off on the UPSC 2019 Mock Test Series package. All the Best!! Is UPSC’s vast syllabus troubling you? Worry not, Unacademy’s Top Educators are the answers to your problems!